Imagine an emerging group of student leaders who are exemplary role models, promising visionaries, and community builders. Student leaders who passionately believe that change is possible and that it starts with them. 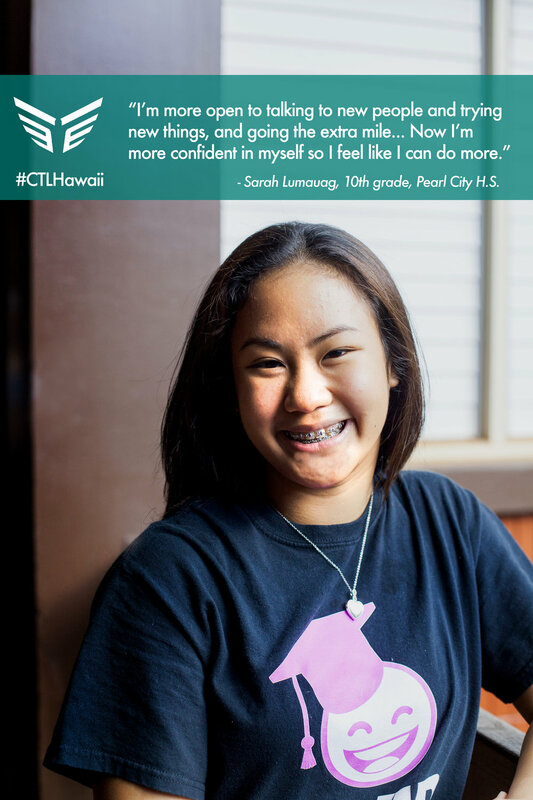 The Center for Tomorrow's Leaders Ambassadors program empowers Hawaii's next generation of leaders to do just that. The CTL Ambassadors program offers a leadership development course for diverse leaders. Students are individually nominated by administrators and teachers. The framework is research-based, comprehensive, and based on core ethical values. 1. Student Engagement: The course is designed to expand the leadership capacity of each student. In doing so, they are inspired to take responsibility for their school’s future. 2. Culture Change: The course creates a platform for students to participate as advocates of school-wide change. 3. Student Voice: Competent and passionate student leaders should be a significant player in educational reform, and this program creates the mechanism to hear their voice.